This website is operated by Victorian Children’s Clinic. Our details are listed on the Contact Us pages of the website. We do not know your e-mail address unless you give it to us. We only record your e-mail address if you send us a message, email us directly, complete our patient registration form or by signing up to our newsletters. We will use it only internally within the organisation, and will not disclose it to other organisations without your permission. If you have given us your e-mail address, but do not want to receive e-mails from us in the future, please let us know by sending an e-mail to the address on the Contact Us page of the website. We use this information to improve the content of our website and analyse what pages people visit, and to keep in touch with you. We do not disclose or sell your personal information to others for use in mailing lists or databases. If our information practices change at some time in the future we will post the policy changes to our website to notify you of these changes and provide you with the ability to opt out of these new uses. we have an existing relationship (for example, you or your child have attended our clinic, or are booked to attend in the future). In any case, if you do not wish to receive such mailings in the future, please let us know by sending an e-mail to the address on our Contact Us page. This website contains links to other sites.  Please be aware that Victorian Children’s Clinic is not responsible for the privacy practices of such other sites. We encourage our users to be aware when they leave our site and to read the privacy statements of each and every website that collects personally identifiable information. This privacy statement applies solely to information collected by this website.